Savvy Rest Natural Bedroom's flagship store is in the tiny hamlet of Ivy, Virginia. We're minutes from Charlottesville, just off I-64, and easy to access from Richmond, Staunton and Waynesboro. 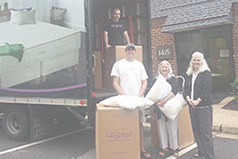 Savvy Rest's organic mattress manufacturing facility is a few miles west in Crozet. Look for us on Route 250 west of Charlottesville, 3.2 miles past The Boar's Head Inn. Savvy Rest has created an ongoing donation program to offer comfort to survivors of domestic violence in Central Virginia. Every year, the Shelter for Help in Emergency (SHE) shelters more than 200 women and children and assists many others through outreach services. Savvy Rest Natural Bedroom - Charlottesville provides SHE with an ongoing supply of new organic pillows—one for every woman and child in the shelter to use and to take when they move on. 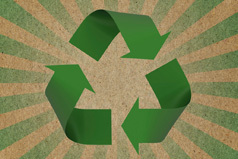 Buying a new mattress is good, but recycling your old mattress makes the purchase even better. We can't make everything right, but we can share our heartfelt wish for a peaceful, healing sleep.